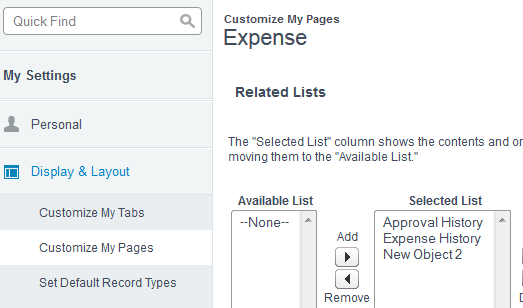 Related list in Salesforce is very useful and simple to use. Child objects from Lookup Relationship or Master-Detail Relationship will show in the Parent object page layout. But, too many related list also not good as it will create a long scroll down on the parent page. So, just use it wisely. Check user Profile, if she has read permission to that object (child object). If not, go to user detail and check Permission Set assigned to that user if has read permission to that object. Check for any Record Type for the parent object, if yes, what is the record type for the particular parent record. If all checked and nothing wrong found, click Customize Page link in the parent object page layout when user login, make sure the child record is in Selected List. Sometimes user accidentally remove it and not remember. This is simple, but sometimes we just 'forget' as Salesforce is 'big'.